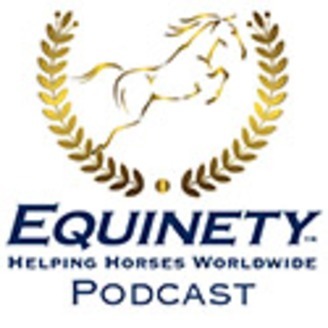 John Dowdy: Hello everyone and welcome to another Equinety podcast. This is your host, John Dowdy, and I’m really excited to bring to you this months Equinety story out of Tennessee and we’re going to go with a 18 hands, 2000 pound draft horse who’s owned by Becki. Becki, thank you so much for sharing your Equinety story here on the Equinety podcast. Becki: Oh well you’re welcome. John Dowdy: Great. So as I mentioned, you’ve got a 22 year old draft horse that you’ve owned for 20 years. Actually, I didn’t tell anybody that. That’s new information, so but 18 hands, a big draft horse. Tell us a little bit about your mare there. Becki: Yeah, well her name’s Roxanne and I had bought her as a two year old coming out of Amish country and in her younger days, we did hunter jumpers for a long time and she was amazing. People couldn’t believe a big horse could be that agile. She was always in good health and then we went, stopped all the showing, we did a little eventing and then we stopped that. Then we started trails. Becki: And we did trails all over, everywhere in Tennessee, some in Kentucky, Tennessee, most of around Tennessee. Becki: And she’s an awesome trail horse. She can do any trail that she wants like any little horse. She was great. And Then out of the blue, she came down with this problem. She could not control her backend. John Dowdy: Yeah. And this was about three years ago you said? John Dowdy: Yep. Go ahead. Becki: And it was heartbreaking to me to watch her because she’s always been such a healthy Mare and I take good care of her. First vet diagnosed it as EPM. And I just wasn’t sure of that because it just, I don’t know, all the studying I did only EPM and everything, it just didn’t sound like it to me. Becki: So I did a course of medicine for that, which costs me $3,000. Yes. And didn’t really even seem to help her. She stayed that way I’d say for almost a year. And then as the year progressed, she did better. About last summer, she came up with this again with the backend where she couldn’t control it. She would swing her left hip out and could not balance and had to stand up against her gate in the barn just to stand there…. couldn’t even hardly eat her hay or bend down to do anything. It was heartbreaking. I thought I was going to have to put her down because I couldn’t stand to see her like that. And then on Facebook I saw the ad for Equinety and read all the stories on there and I thought, well, it’s worth a try. She had also been diagnosed with severe arthritis and I had to limit her, so I always have limited her grass intake, but I don’t had to limit it more because they thought she was in a possibility of founder at that point. Becki: She’s a big girl, so I knew I had to do something, so I decided, well, I’m going to try this because I have nothing to lose. John Dowdy: Right. Now as we were chatting earlier and of course up to this point, you had mentioned to me you are at your wit’s end. The veterinarian’s had been scratching their head, you’ve already dumped a bunch of money and nothing seemed to be working. And then that’s where you saw the ad on Facebook with Equinety and you thought, well what could it hurt? Becki: Right. That’s exactly how I felt. What could it hurt. You know, so I ordered some and started her on it and within three weeks, she was walking straight. She wasn’t swinging her hip. Her arthritis is better, her hooves are even better. She always had bad hooves and I took her off all her other supplements other than she has to be on a medicine to, she’s always on, ThyroLs and I took her off of all her joint medicines, everything and just decided to use this and another one of her medicines that she has to have. Prescription. It’s for her thyroid. Becki: On her gate in the barn. Yes. She could not stand up and put weight on that side at all. Becki: I mean it was difficult for her to even lean down and eat her hay. John Dowdy: Wow. And of course this caused her to rub off the hair on that side. Becki: The hair, all the hair on her, let’s see, it would be her right side, had been rubbed off that hip from leaning in against that fence. I mean it was bald. John Dowdy: Wow. So yeah. So then you started her on the Equinety. So in a matter of three weeks, she’s now walking. Becki: Walking straight. Balancing. Her arthritis seems to be better, her hooves are better. John Dowdy: And the hair’s growing back. Becki: It just seems like a miracle to me. John Dowdy: Well, it almost sounds too good to be true in a lot of cases, but you know, for those of you who are listening for the first time, the reason why Equinety helps in so many areas is because what it’s ultimately doing is it stimulates the pituitary gland to release the necessary hormones, which then helps the body heal at a cellular level. So you could have 12 horses with 12 different issues and, in this case, I mean, we’re dealing with a mystery lameness. Everybody’s scratching their heads. You’ve spent a lot of money. This is a very common story that we hear with a lot of mystery lameness issues. But when you can give the body what it needs to help heal itself, then that’s a different ballgame. So it’s helped with the mystery lameness. The arthritis is better, the hair’s growing back. She’s happier. Becki: Yeah, she’s more alert, happier, trotting, cantering. I I haven’t seen her do that in so long but when she gets out in her pasture, she’ll trot, even canter down it. And for a big horse like her, cantering takes a lot of energy out of her but she is cantering and she’s doing wonderful. John Dowdy: That’s awesome. So, and now, how long has she been on product up to this point, as we’re talking today? Becki: I’d say she’s been on Equinety, well, I’ve ordered it three times. Becki: So I’ve just kept her on it. John Dowdy: Wow. That’s great. So, and if you didn’t already say what you said to me, if you didn’t already say this on the podcast here, you said to me, you felt like you have your horse back. Becki: Oh, I do. I thought I was gonna have to put her down and I am so attached to this horse and she is with me, I was devastated. I would talk to everybody about what should I do? Should I put her down? And then they’d be like, well, is she suffering, you don’t want her to suffer. No, I don’t, but I’m going to try everything I can to get her better, no matter what it was. And so I tried the Equinety. It seems to be doing it. 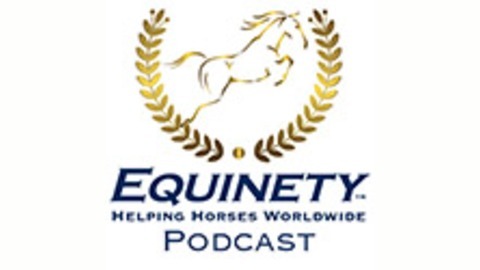 John Dowdy: We hear it all the time and that’s one of the reasons why we decided to start this podcast, the Equinety podcast so people can share their Equinety story. That way they’re not just hearing it from us, but they’re hearing it from others out there that might be in similar situations and when you read the reviews, you read all the stories and testimonials for anyway, it’s been around the block a little bit, your instantaneous reaction would be, sounds too good to be true. Which I usually try to bring that point up before they say it to me. Becki: Well, I mean, that’s what I said when I was reading everything. I go, this thing’s too good to be true, but why not try it. Becki: If your horse is at that point where you don’t think they’re ever going to get well again, why not try it? I mean, it’s worth it because it covers not just the lameness. I’ve seen changes in all of her. Becki: Yeah, that was a big question. I thought I had to give her two scoops. So I started her out on two scoops but then I talked to you and you said no, I can just give her one scoop like any other horse. Like that was thrilling. Becki: Because it lasts longer. John Dowdy: There’s no way. But at the same time, people with little tiny mini ponies, do I give half of the scoop? No, you get the same size. Now here’s the reason why is because what the product is ultimately doing is it stimulates the pituitary gland and the pituitary gland is roughly the same size in mammals, about the size of a pea. So it has nothing to do with the weight and [crosstalk 00:12:58] and a few other little benefits with the Equinety, there’s no fillers, no sugars, no starches, there’s no loading dose. So it really is a great all around product. And we have a lot of people just as you mentioned earlier, a lot of people that are able to save upwards of 20 to 40% in supplements as well as some vet bills too. The horses are healthier. And that’s really what we’re after is getting that horse as healthy as we possibly can. John Dowdy: Yeah. So well, awesome. I want to thank you, Becki, so much for taking some time to share your Equinety story. And if there’s anybody listening to this podcast for the first time and you still might be on the fence a little bit, what advice or what would you have to say to them to maybe get them? Becki: Oh, I mean, yeah, I mean what could I say? My horse was at the brink of being put down and when I read the stories and the testimonials and all of that on Facebook, to me it was like, what’s it going to hurt to try? Nobody had any answers for me. What’s it going to hurt? And it was very well worth it. I’m glad I made that choice. I’d do it again. John Dowdy: And you still are. Becki: And I still am. And I will till the day she dies and I’m hoping this will give her a longer life. John Dowdy: Absolutely. So, well, Becki, again, thank you so much for sharing your Equinety story and we will look forward to when we publish this podcast, which you can be found on our website at teamequinety.com, as well as Itunes. And then we’ll also post some pictures of Roxanne because we’ll have this podcast transcribed so we’ll be able to put some pictures. Becki: I don’t have any pictures of her. John Dowdy: Well, you better go get some pictures right now. Becki: I don’t have a way to take pictures. Becki: Okay, I’m old. I don’t even know how to do that. John Dowdy: You will not be seeing pictures. I will do a, you describe it and I will do a sketch. I’m a horrible drawer by the way. I don’t draw very well. Becki: Okay. It’s a Belgian Draft horse. You know what that looks like? Becki: Okay, she’s got a flaxen mane and tail. She’s got a blaze. John Dowdy: Okay, I’m taking notes. I’m going to sketch this and put it up for everybody. Becki: And you almost can’t get a bigger horse. Becki: She’s a color of about, she’s a almost a chestnut with a white tail and mane and makes it, and that’s what a Belgian looks like. John Dowdy: I’m going to sketch this out so don’t, don’t judge me too much because I’m not an artist. Becki: Oh, okay, I won’t. John Dowdy: So awesome. Well. Thanks again, Becki, and keep us updated if you would. Becki: I will, John, thanks so much. John Dowdy: All right. Thank you. Bye Bye. Order your tub of Equinety today! The post 008 – Possible EPM, Mystery Lameness on 2000 lb Draft Horse appeared first on Team Equinety. 006 – Lame with Navicular now Sound and Competing Again! 005 – Navicular Horse Battling for years – then I found Equinety! 004 – Old Injury and very depressed horse – Equinety has BIG impact!